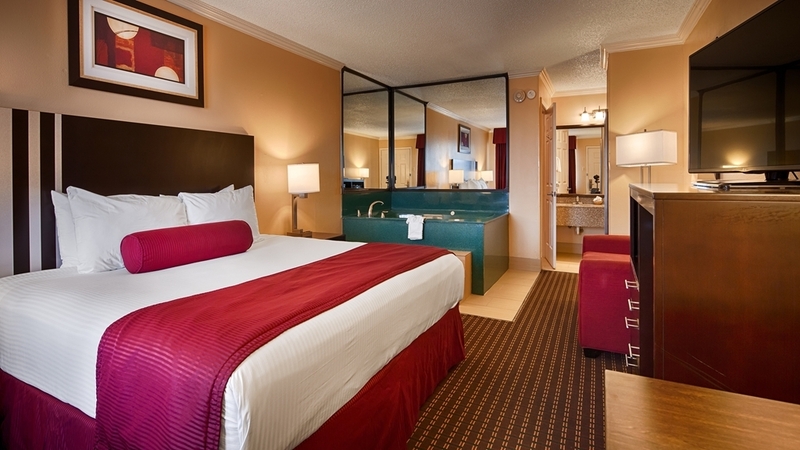 El Best Western Brady Inn se encuentra en el centro de Brady. 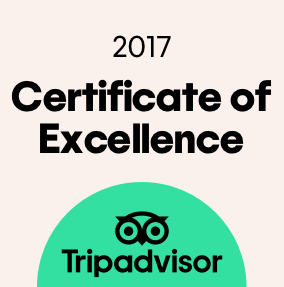 Venga y disfrute de las mejores atracciónes turísticas cerca de nuestro hotel. Precios bajos garantizados y ofertas exclusivas. 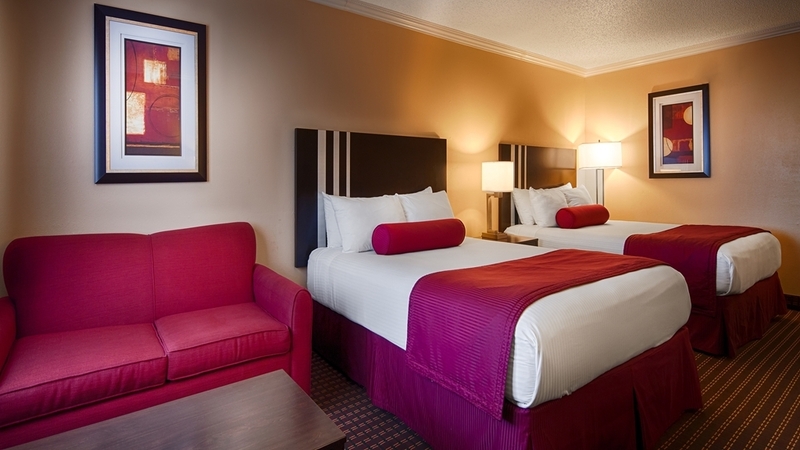 Bienvenido al Best Western® Brady Inn. Los huéspedes que deseen visitar el Heart of Texas Records podrán disfrutar de un cómodo acceso durante su estancia en nuestro hotel de Brady, situado a poca distancia de los principales enclaves de interés de la región. Los entusiastas de las actividades al aire libre escogen nuestro hotel de Brady por su proximidad al Lago Brady, un auténtico paraíso para la pesca, los paseos en barco, la natación y el senderismo. No obstante, nuestro hotel se encuentra asimismo a poca distancia del aeropuerto de Curtis Field, lo que confirma que pese a ser un hotel de aeropuerto, también podemos estar situados a poca distancia de las mejores atracciones de la región. Desde una cálida bienvenida hasta el ágil registro de salida, los huéspedes encontrarán en nuestro exclusivo hotel todo lo que buscan durante su viaje. Estamos situados a poca distancia de los restaurantes de la zona y ofrecemos servicio de transporte gratuito de ida y vuelta al aeropuerto Curtis Field. Este hotel que admite mascotas de Brady da la bienvenida a todos los miembros de su familia, ya que somos conscientes de que los viajes no son lo mismo si no están absolutamente todos. Con un amplio estacionamiento para camiones y caravanas, los empleados del transporte por carretera, los aficionados a la acampada y los viajeros en la carretera podrán disfrutar de la mayor comodidad a la hora de estacionar su vehículo en nuestro hotel de Brady. El evento anual Heart of Texas Country Festival atrae a una gran cantidad de visitantes y es uno de los principales motivos que impulsa a los viajeros a escoger nuestro hotel de Brady. El evento gastronómico World Championship BBQ Goat Cook-Off tiene lugar en las inmediaciones y el golf es uno de los principales deporteslocales. Desde exquisitos platos a la barbacoa hasta una fantástica tarde en el green, todos los viajeros podrán encontrar algo de su interés. La caza es otra de las principales actividades de la zona y nuestro hotel estará encantado de dar la bienvenida a los cazadores para proporcionarles unas cómodas e impolutas habitaciones. El Brady West Rehabilitation and Nursing Center atrae a numerosos trabajadores y familiares de pacientes. Si se encuentra aquí para hacer negocios en el Hospital Heart of Texas Memorial, el aeropuerto Curtis Field, el centro The Center o cualquiera de las otras empresas locales, podrá disfrutar de un cómodo acceso desde nuestro hotel de Brady. Tenemos el firme compromiso de proporcionarle una estancia lo más cómoda posible. Reserve una de las amplias y apacibles habitaciones del Best Western® Brady Inn hoy mismo y disfrute de la mayor comodidad durante su viaje. 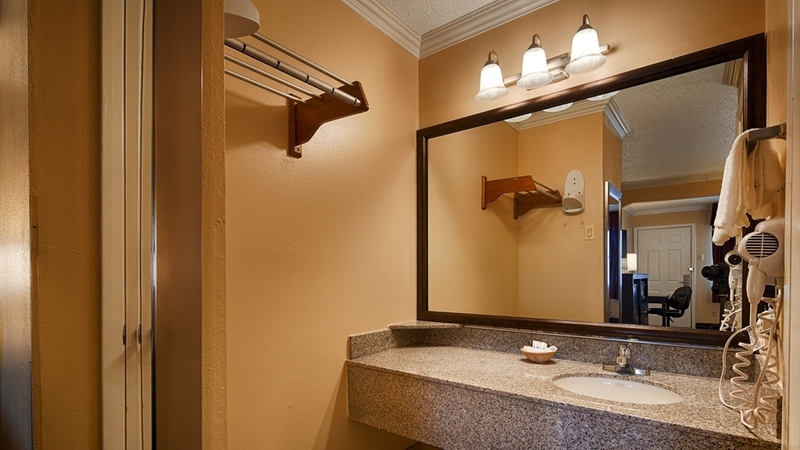 "A few items in the room should be checked out"
When I mentioned at check out that the shower head connected to the bathroom wall was not secured to the wall, the agent said, "really, no one has ever told us that before..." So what did she mean by that? I was making it up in an attempt to gain something from the hotel, like a room discount? There was no DND sign and the shower curtain was too short to prevent moderate bathroom flooding. Only stayed one night at the Best Western Brady Inn but the one night was one of the most pleasant stays ever at a hotel. The receptionist was friendly and professional. 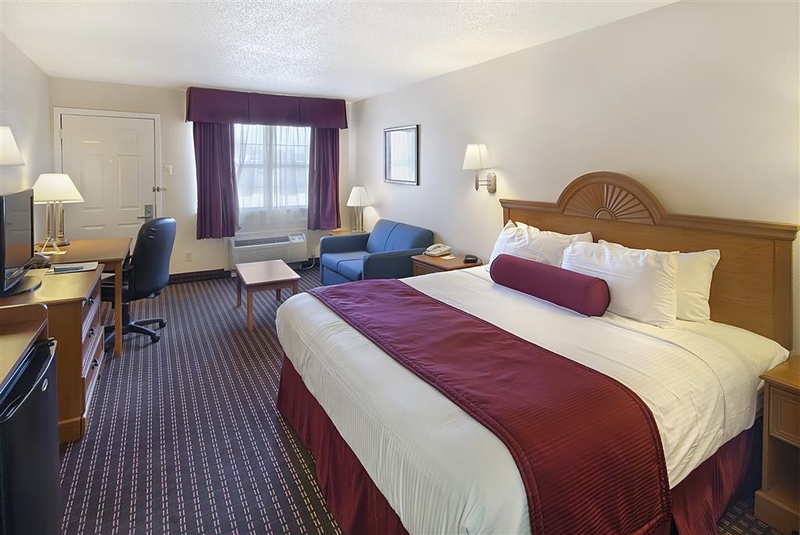 The room was spotless and well presented with all the usual amenities and new. The bathroom with a walk in shower was recently tiled and the tile was spotless and very professionally installed. We could not have been happier with a hotel stay. Traveling alone on a Saturday nigt, I intended to stop in San Angelo but thanks to oil boom, all hotels were booked. I continued on to Brady and was glad I did. Great price on room. King bed, couch, desk, microwave and refrigerator. Large walk in shower (no tub). I felt very safe as a female traveling alone. Breakfast was awesome and included the best bean burritos. I will return. 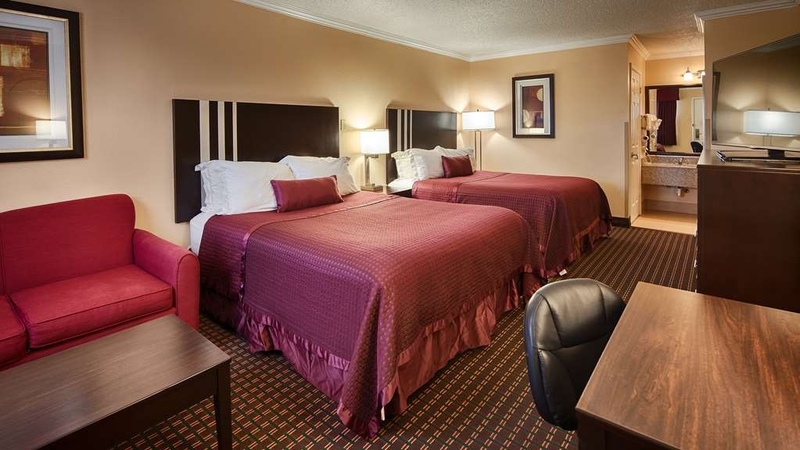 The Brady Best Western Inn was extremely clean and comfortable. The complementary breakfast was great. The service was wonderful. The management was friendly and helpful. I will definitely stay here again. "Don't Expect More Than Two Star Accomodations"
Of the hotels in the area this is the typical two star, truckers and construction crew's overnight crash pad. Don't expect much more than a parking full of construction heavy duty work trucks and 18 wheelers. I will have to say that the room was clean, but come on guys, asking customers if they are gona need towels before they even get to the room? Seriously? As far as that "Continental Breakfast" they advertised, imagine what that looks like when several hundred construction workers settle in on it about 7:30 in the morning. Need I say more? I'm sure you get the picture. Heck the hotel even comes with it's very own pan handler that walks from person to person as they try to load up in the parking lot. Who could asked for more! A new property, clean if you have to stay in the Brady area. No Texas TV, all California channels. Cell service required through a local service provider at an additional charge. Small town, no dining, except fast food, etc..
"Second stay here at this best Western....."
Hotel is 'ok'. It's clean and maintained, help is friendly. If you have lots of heavy bags, you need to request ground floor - no elevators, all stairs. TV has no sleep timer available. Breakfast was not all that good. Eggs overdone and 'aging'. No one in the kitchen area. The employees were very pleasant and the lobby was clean and comfortable. The room was also clean and comfortable. The breakfast that was served was very well prepared and a nice touch. Overall, it was a very nice stay! We had a good nights sleep here. The bed was comfortable. The breakfast was excellent and very filling. There was a small glob of hair stuck to the shower wall, but other than this, we had no complaints. It is an older style place where you park outside by your room. Room was clean. Bathroom was clean except for a tiny bit of mold in shower, which could easily be eliminated with a little bleach. Bed was comfortable. Pillows were lumpy. Still, probably the best place in town. "Very comfortable and clean hotel"
For a small town, I was pleasantly surprised and pleased at the cleanliness and comfort of this hotel. They are undergoing some renovations which will further enhance the appearance of this hotel. The mattress was so comfortable, I took the sheets down to find out what kind it was. We were very pleased with our room and the amenities. 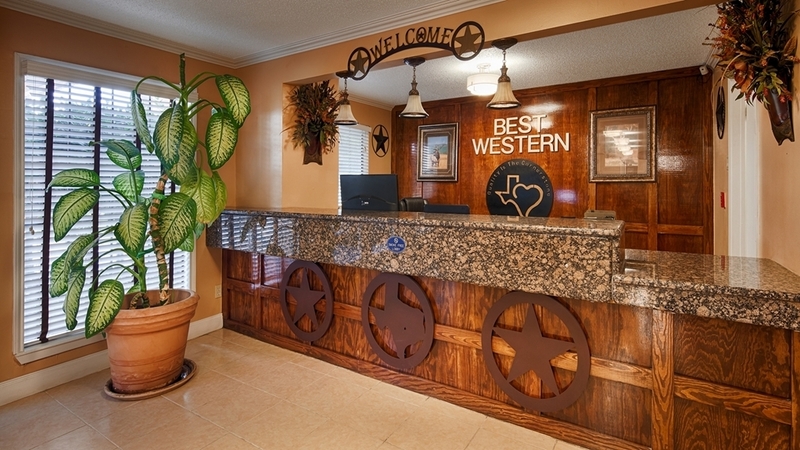 "My Stay at Best Western in Brady, Texas"
Our stay at the Best Western in Brady, Texas was very nice. 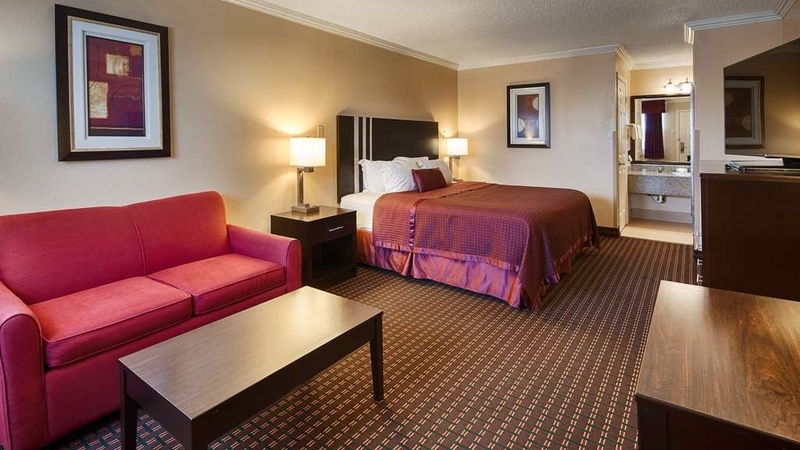 It's a nice hotel with some good restaurants to choose from in walking distance. We were doing a self-supported bike tour and had an overnight stay in Brady, Texas. 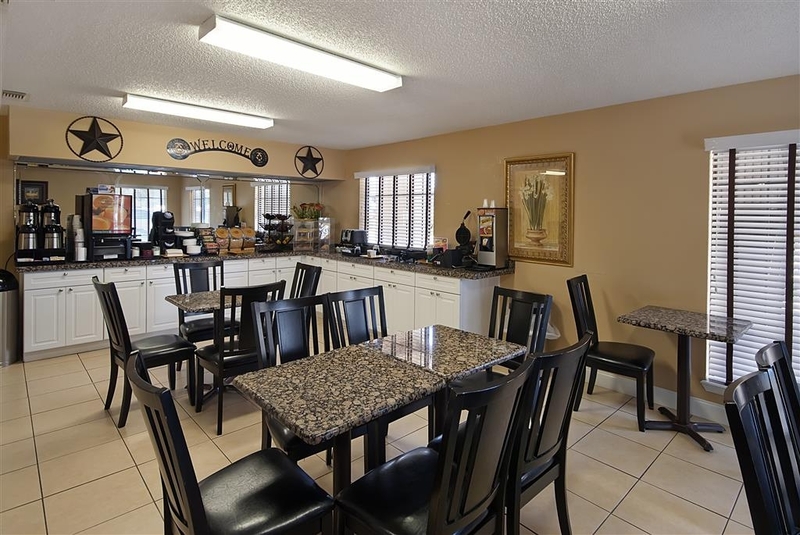 I recommend this hotel to travelers coming through the heart of Texas. This was a yearly group annual men's church retreat. We rented 3 rooms for 2 days n I am the president of the men in this organization. So I recommended this motel for them, but was not very happy the way things were handled. From reservation, practically saying that I lied to smell in room that there was nothing that was able to do about it , to not having our room cleaned. The accommodations were great! Clean, clean, clean. Breakfast was delicious and not the ordinary that is served elsewhere. Brady was a great stopping place on our trip through Texas and into New Mexico. Glad we stayed. 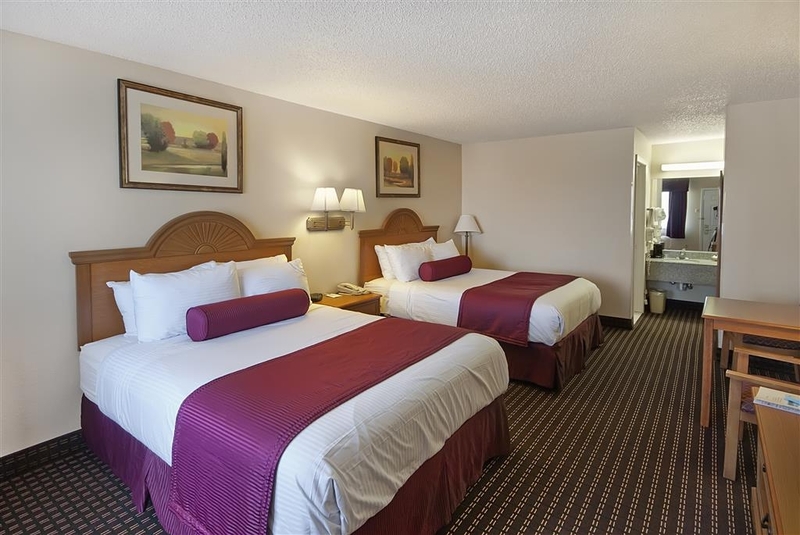 "Great service in a sleepy little town"
This hotel is consistently clean and the staff is excellent. The breakfast buffet has quite a good selection to choose from. 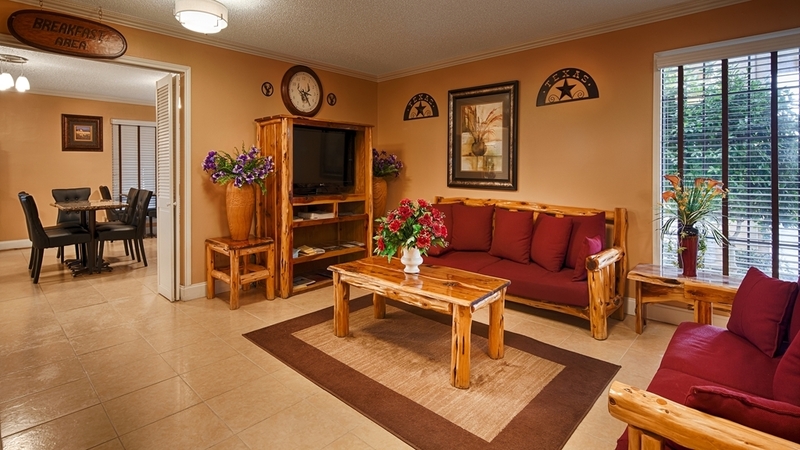 The rooms are clean and there are plenty of TV channels to choose from. One thing to note is that the AC works best if you tuck the curtains up on the window sill, otherwise the cool air gets a little trapped when you close the curtains at night. Also, the internet doesn't work well with iPhones and iPads, so bring your Windows laptop if you need to stay connected. "So relieved you take pets!" This is not a fancy place but we will certainly be back because if the pet policy! Thank you so much! We had traveled to Lubbock to get out of the Houston area due to Harvey situation and was on the way home. The room was spacious and clean. Coffee machine, microwave and fridge. It was nice to back the car up and unload into the room. Now if they will just mail me my favorite little pillow I accidentally left....I would be so happy! I was in the lobby at 11:20 to check out & I feel with so many guest checking out at that time th girls should be up front attending the front counter. I came in 3 different times & each time had to wait on the girls to come out of the room next to the front counter to assist me. 11:00 is CHECK OU TIME & I feel they should be right there to take care of Guest. Just a thought. 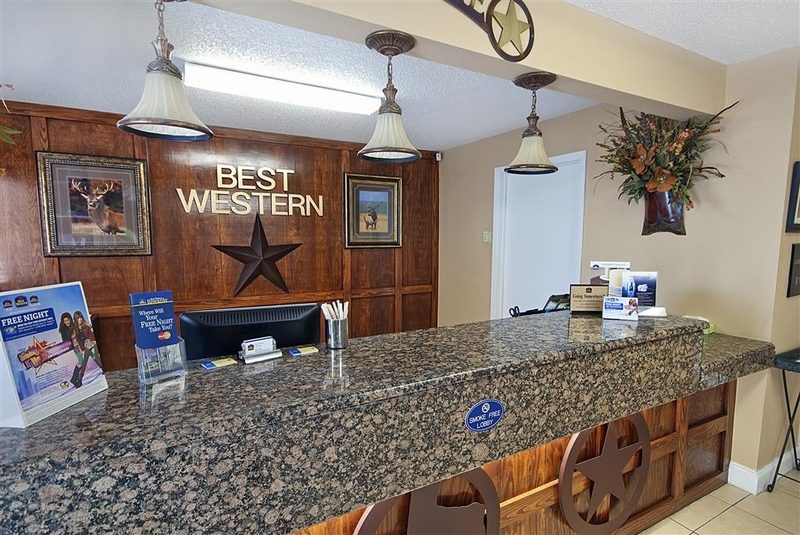 "Stay Every Year for Family Reunion"
Best Western Hotels/Motels are usually our brand to go to for staying in small towns in Texas. We stay at the Brady Best Western every year for a family reunion. It is always clean, freindly and everything in good working order. The manager and her staff go out of their way to take care of us! hotel itself was ok and fairly well kept. breakfast was very good. was not recognized as elate upon check-in. bill was incorrect upon check-out and had to be corrected. 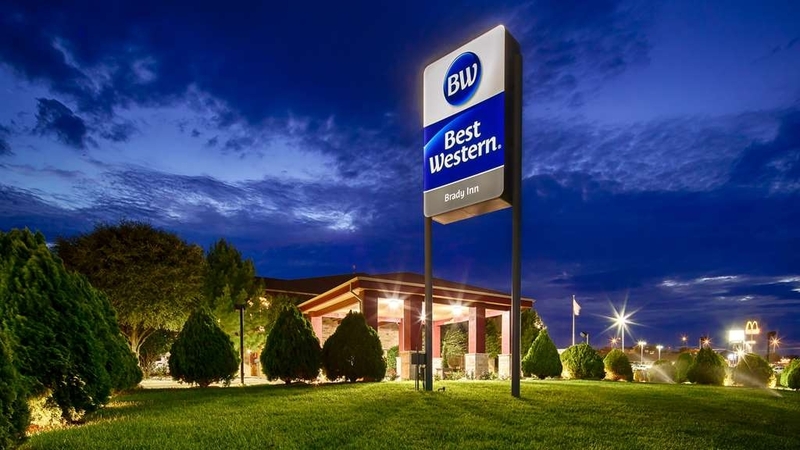 overall a fair stay, but don't believe we would return to this best western site. "review of best western service"
enjoyed the people who worked there very much we were there on an evacuation for a hurricane. they were very helpful in providing and extention of the reservation when we could not get back home due to flooding on the highways during Harvey.. 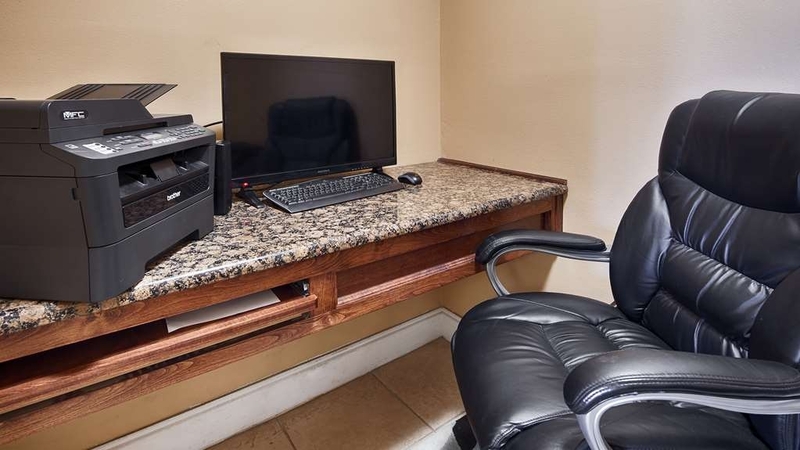 The room was clean, the bed compy , the internet was fast, the only problem I had was they didnt have smoking, The staff was pleasent and I enjoyed myself. I would recommend this motel for someone that wants a good nights sleep. "Direct TV doesn't belong in a hotel"
The pool was murky and we tried to watch TV but it was Direct TV and everything that was worth watching had to be bought. The HBO was old movies, local station were out of Los Angeles(????) with no CBS and pretty much everything else was infomercials. Better have lots of games if you bring children with you. The rooms was large with a King bed, sitting area with sofa and a desk. There was plenty of room to spread out and relax. The furnishings were nice. The staff was welcoming and always ready to help. My only complaint was the poor internet service which was spotty at best. I seemed to get good connection to their wireless modem so the problem seemed to be with their internet provider. Other than that this is a great place to stay. "The pool was nice. " There were no towels for the pool and cranky employees. Otherwise, not a bad place to stay. The room was clean and the bed was comfortable. It was easy to check in and out. The pool was pretty w birds dive bombing it. We checked in late, last room. Floors were filthy, one of the hand towels was obviously used and re-folded, no soap, no shower gel in the dispenser, no shampoo in the dispenser, and some dirty,soapy hand had adjusted the shower head and it hadn't been cleaned off. If I hadn't had a 3 year old in desperate need of sleep, I would have slept in the car. The morning clerk explained that a construction crew had come in late and used the room "just for showers", so I guess she was reassuring us that the beds were clean? In her defense, she apologized and said she would credit me $10 for the inconvenience. The credit never posted on my card. "Good Place for two night stay"
Stayed in Brady to conduct a Breeding Bird Survey and the hotel met my needs well. Clean and quiet room. They allowed early check-in, and had breakfast starting at 5:30. Friendly staff. Convenient to park right outside the ground level room. I took off one star because it was not quite as nice as Holiday Inn Express where I have stayed before-better decor-, but this hotel was a better value. I was hardly in the room except to sleep. It did have all the necessities and it was nice to sit by the pool at sunset. The property is being maintained well. The walls were like paper thin and the woman in the room next door had 2 dogs that barked while she went out to smoke. The door squeaked every time she went to smoke. The breakfast was not up to the Best Western quality that we are familiar with. It was a great disappointment. We won't ever stay here again. Room could use a little maintenance, as door jam was partially off in our room. Room was clean, this is an older hotel with no elevator to the second floor. Breakfast was average, not special. Staff was friendly and courteous. 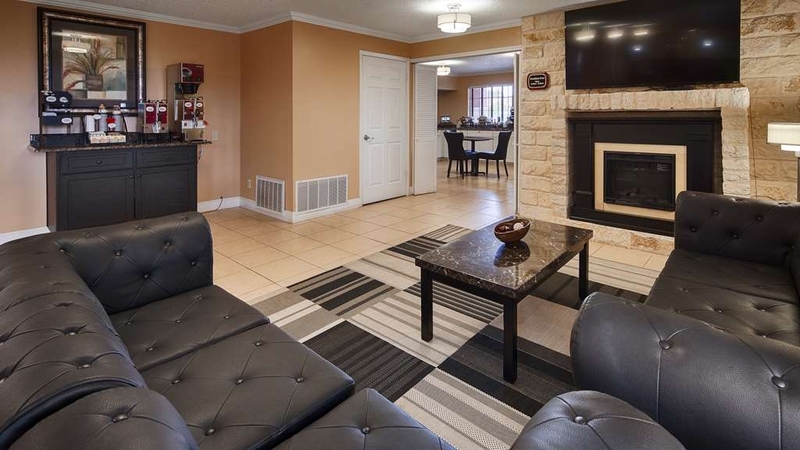 "Not As Good As I Had Hoped"
This older, two story property (no elevator) with parking right in front of your room, is conveniently located right on US 87/377. 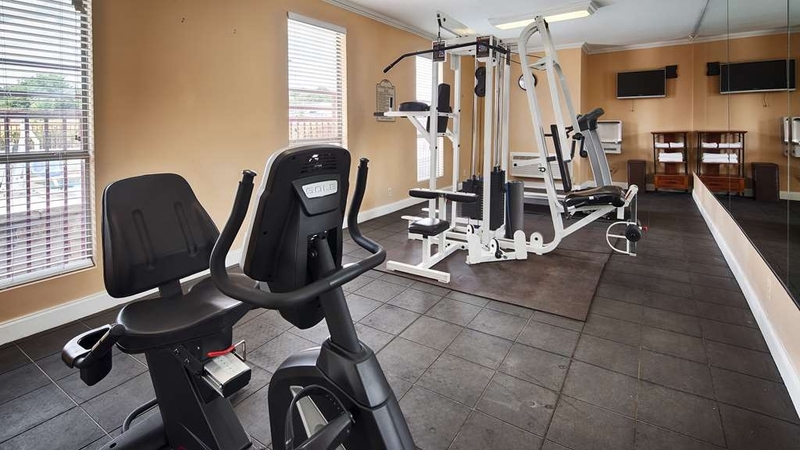 On the plus side, it was reasonably priced, clean, had a 24 hour fitness center, pool, guest laundry and a good selection of TV channels. I was feeling poorly and had seen a doctor earlier in the day and been told I had the flu. I called the Best Western and asked if I could check in early as I was so sick and appreciated that I was told I could. When I checked in I was given an accessible room as I had requested. Although I was the only guest checking in and the employee knew how ill I felt, no offer was made to help me bring in my luggage, get ice, etc. I was simply handed a key and given directions where to find the ice machine when I inquired. The accessible room was not very comfortable. The hangers and iron were above my reach, the coffee maker was inconveniently placed between the bed I was not using and the wall. There was only a shower and the soap and shampoo were in containers behind you rather than in front of you. Neither the sheets nor the mattress pad stayed tucked making for a lumpy bed. There was not much light for reading and the refrigerator did not have a freezer compartment. My room was close to the highway and there was noise from the highway. Breakfast was average. It offered two kinds of processed eggs, apples and oranges (no bananas), juice, breads, etc. The Texas shapped waffles had the Best Western logo imprinted on them which I had never seen before. Ther are not many lodging options in Brady, so on my next visit I plan to stay in another city. "Clean, comfortable, and a Great Price!" I was a little worried after reading a couple critical reviews, however we found this place to be just great! It was very clean. The bed was quite comfortable. And things were quiet...even on a Saturday night. The only criticism that I would agree with is that this is NOT a Hotel...it is a 2-story motel without an elevator. The description of the place should be changed. Difficult to find a clean, comfortable hotel for less than $100. It was a great place to stay for me and for my adult daughter and her family. They enjoyed the free breakfast !! I would definitely stay again if I need a place in Brady ! 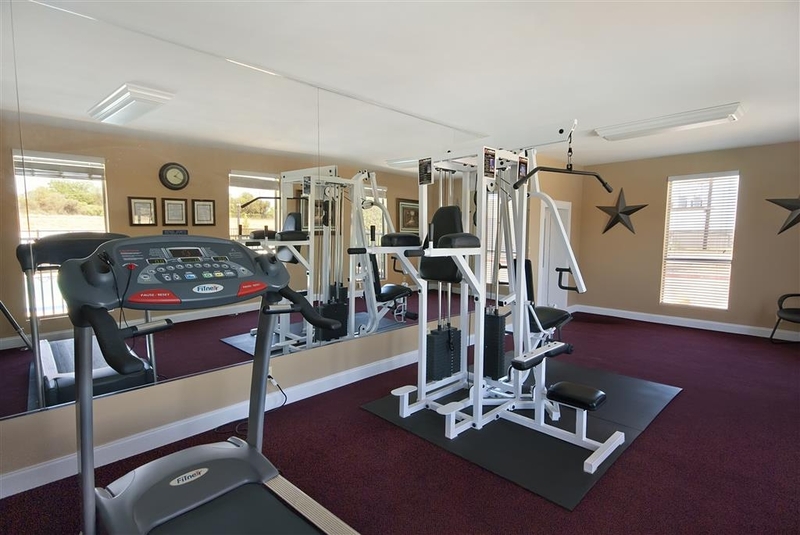 "Great room & excellent price!!" We had several couples on our trip and not one of us had a problem or complaint. The rooms are very clean and updated. Excellent price! 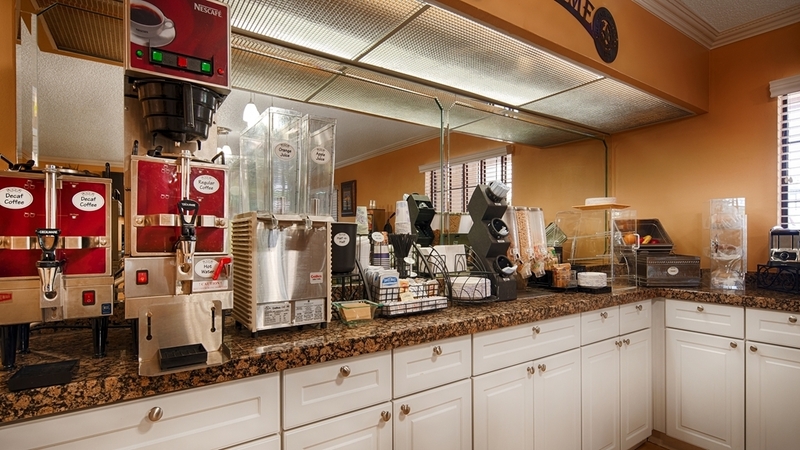 The continental breakfast had many choices and not one of them was bad. I would highly recommend. We stayed at Best Western Inn Brady Texas from 3/20-3/25/2017. As requested, we had a king non-smoking room but could not get a room on the first level. There is no elevator and the stairs are outside. The room was furnished in a typical manner. The bed was comfortable. When we arrived we noticed a smell in the room. We thought maybe it would dissipate after running the air conditioner awhile so we unloaded for our five-night stay. By the next morning the smell had not improved and had a definite urine odor. We reported this to the front desk immediately and were told that it was likely the AC filter needed changing. The clerk said they would take care of it and give us a credit on our bill. What they did was vacuum good, which had been much needed, and used a strong air freshener. The smell lingered. We discovered the urine smell got stronger when the curtains were closed, so we tucked them into the window sill at night and that helped. Breakfast was served 5:30-9:30 a.m. Cereal and toast were plentiful and waffles were an option. There was also good yogurt. There was juice and coffee. We found that any hot food left at 9 a.m. was dried out and cold. No fruit, pastries, eggs or meat left by that time. However, there is a great restaurant right across the street that serves a wonderful breakfast and we went there for breakfast two of our five days. Overall the hotel is fine. We were disappointed that the smell issue wasn't addressed better, but they did a good job cleaning after we reported the smell and that helped. We did not receive a credit as promised. We were not offered a chance to change rooms, and there was no follow-up at all. However, I know they were full some of the nights we were there. We can accept some blame as we didn't continue complaining. I would suggest asking for a room away from the stairs. Before 7 a.m. some people bang their suitcases step by step when leaving. Also, if you have much luggage or have trouble with uneven stairs, try very hard to get a room on the lower level. We would stay here again if we got a good price and were looking for lodging in Brady. We recently enjoyed a nine day stay at this hotel. The building and grounds are very well maintained and attractive. The room was clean and pleasant appearing. The staff and management was friendly and helpful. We will be back. 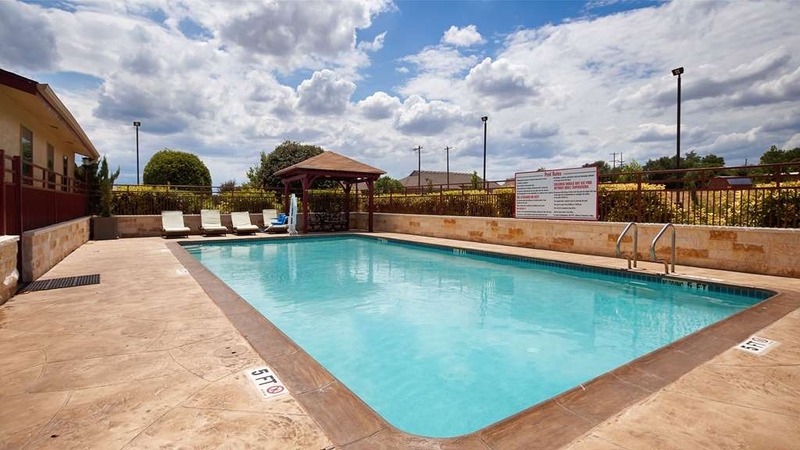 This is certainly worth the price.It is very clean, the staff is friendly and very helpful. It is well located and easy to find. It is also very close to one of our very favorite places to eat. Well worth it! 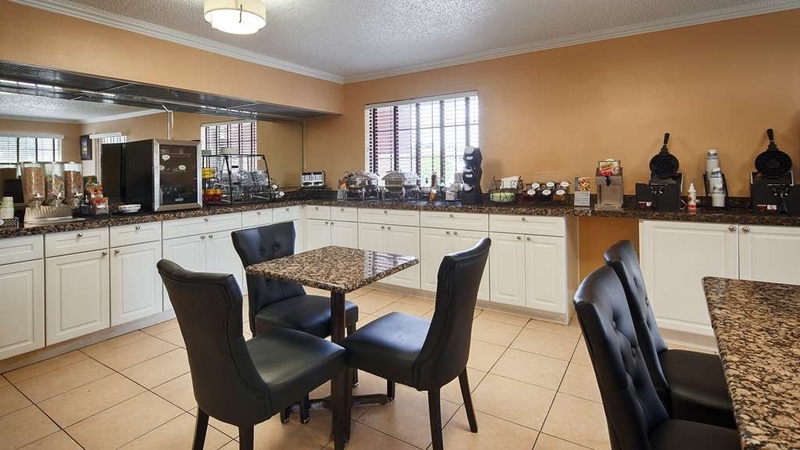 "Good room at a fair price"
Free Wi-Fi and breakfast makes this place a great deal. Rather than stay in San Angelo we pressed on to Brady to make more distance and stay at this affordable hotel. The rooms all open to the outside. They are non-smoking, but have "smoker's outpost" disposals along every hallway so you smell cigarettes as soon as you step outside. I took away one star for not consolidating smoking areas away from the rooms. Breakfast had waffles, breads, cereal, and eggs & meat. Eggs were gross but everything else was tasty. Still, because of the price we would certainly stay here again. "Did not have my reservation request for a downstairs room"
I booked through a 3rd party, and the request for a downstairs room did not transfer. This motel has no elevator, so take note if you have difficulty getting the bags (and yourselves) up exterior stairs in the weather. It was raining, so I asked for a downstairs room. They put us in a wheelchair accessible room, which was fine, but the room was not really ready. Our Direct t.v. went off early in the evening (about 6:30 p.m.). When I tried to use the phone to get instructions on how to get the t.v. back on, I discovered there was NO phone cord, just the phone. The beds were quite soft, so uncomfortable for us. But, if you like soft mattresses, they should be fine for you. Also, the water was absolutely horrible. They do have bottled water in the breakfast room, but the coffee is made with the local water and is undrinkable. Bring your own bottled water if you want to make coffee in the room. We had water at a restaurant in this town, and it was fine, so I don't know why the hotel's water is so awful. In my opinion this is perhaps the best place to stay in Brady. 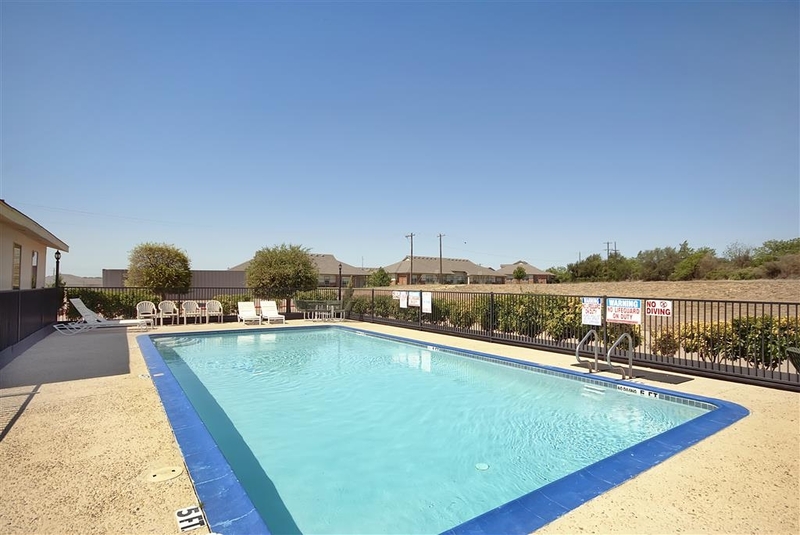 It is conveniently located for travel south, west and east. Most of the places to stay on the south side of town. The people at the desk and breakfast area were very helpful. The breakfast had a wide variety of choices, including two meats and two choices of eggs. The waffles had several choices of toppings beside syrup. This was a nice place to stay and I would recommend it to anyone. Just stayed at the BW in Brady and have to say I enjoyed the rooms and service. The hotel recently renovated and it looks great and feels "fresh". I do travel the area frequently and will definitely stay there again. The room was musty and damp, maybe the carpets had been cleaned, but had not been dried???. Bathroom vanity, sink area were super small and only one person could be there at a time. It sufficed for one night, however I wouldn't recommend. We will pay a little more and be more cautious in the future, as the pictures posted are not up to date. Disappointed to say the least. The rooms were nice and people were very friendly. There were no funny smells when we walked in that we have found in many places. We usually drive around a hotel/motel before going in to see how well the grounds are kept. If the pool is not clean (any time of year), curtains are sagging, or it looks like people live there then we do not go in. This Best Western looked great. we got bit by fleas, saw a flea before we went to bed and killed one before went to bed, I commented to my wife I wish I had a blue light. my wife had ten bites and I had at least one on my buttocks. the rom was the last one, no maintenance man for clogged toilet, had to get plunger from front desk it didn't work , all we did we pee and flush a couple tissues. it, woke up all bitten by fleas- don't stay there! Relatively new motel that offers good value for your dollar. Typical breakfast offerings for motels in this price range - entirely adequate but nothing special. Within walking distance of several good evening dining options. I would stay here again. "Great place for an overnight stay"
This motel was very clean. The staff was most helpful. An enjoyable stay and the coffee was good and strong! The beds were very comfortable. The only negative was the fact that they are pet friendly. The breakfast was mediocre. Very pleasant ..could use some updates in room..Need to have more parking spaces and the breakfast had fake scrambled eggs but the lobby and rooms were very clean and it was in a very convenient location. The room was really clean! your housekeepers do a really good job and the beds are very comfortable. Front desk lady at check out was really nice and professional, my only complaints are that the wi-fi was slow and we didn't have a bath tub in either one of our two rooms, we went for a tennis tournament and after the matches, the guys wanted to take a bath, so we were a little disappointed, i don't know if all the rooms are like that, but other than that we enjoyed our stay. Thank you! "Not the best representation of Brady"
This hotel was not the best to stay in, to bad its about the only one and I think they know..The carpet was dirty, the housekeeping lax-a-daisy and they gave use two towels and 1 wash cloth for 4 people..I get we need to share, but it was a bit ridiculous. The staff at check in and check out were wonderful, the evening staff that had to deal with the issues that arose for our whole group was not very involved with their job. I would have to highly recommend staying here, if passing through Brady. It's a nice, clean hotel that has great staff! Even if you are only planning to stay the night, pull over and stay here if possible! I had made a mistake on my reservation - but the hotel called and helped me straighten out WITHOUT charging me. This doesn't happen very often. When I arrived, they were quick to get me into a room that was set up for handicapped people (I have knee issues) and parking was right infront of my room so I didn't have to walk more than a few feet. The room was large, clean and had a AC and great bed. There was a microwave and a frig (I didn't even know about) and the internet was strong and fast. I will definately stay at this hotel any time I am in the area. Mattresses and pillows at this hotel were the best of my trip so far. Very clean room. Old-school style hotel but has been updated and is very nice. If you need a tub you need to ask for it as our room had a shower only. Breakfast was average. At door parking. I would stay here again. Had another nice stay at the Brady Best Western. The property and rooms are nicely kept. There was a slight musty smell to the room. But, with the humidity in that area, I supposed that's to be expected. This would definitely be my hotel of choice in Brady. "Average best western to an extent..."
Stayed two nights here, place seems to have been possibly a different brand of hotel at one point in its past, fresh sloppy paint job was not appealing... Room did have tv microwave refrig ect... The layout of the room was odd though, plus the Internet at this motel was non existent about 90% of the time... Called Down to the front desk numerous times to have them reset the router... Walls seem fairly insulated... Ladies that worked there seemed neutral in regards to customer service, I honestly don't think I will stay at this best western again when I visit... They just didn't seem to care enough. Driving from Lufkin, TX had to stop at Brady due to weather and too tired to keep driving. We were assisted right away and had no problem getting a room. Room are standard. I believe we were given a handicapped accessible room because it did not have a tub and the sink was very low. The next morning we had their free hot breakfast and it was enjoyable. "Good quality for small town"
This was a very clean hotel. Staff was very courteous. The rooms were very comfortable and clean. The only complaint I have is that there was very little egg left over by the time I had breakfast at 8:00 a.m. and what was there was very dry. I would however stay here again. For a small town it was better quality than I expected. "Nice place, great people, but,"
the rooms need some deep cleaning. Our bathroom floor was sticky & the carpet was very dirty. I walked barefoot across it once & I could feel how nasty it was. Didn't do that again . Everything else looked clean it was just the floors. We had a great time & the staff were great. I'm sure they will take care of this now they are aware of it. This is a wonderful place to stay! Everyone was very pleasant and helpful. Thank you very much. Military discounts are very helpful, but the respect of us veterans is most important. Thank you for that. The stay was pleasant. And breakfast was an added bonus. Have stayed a number of times. 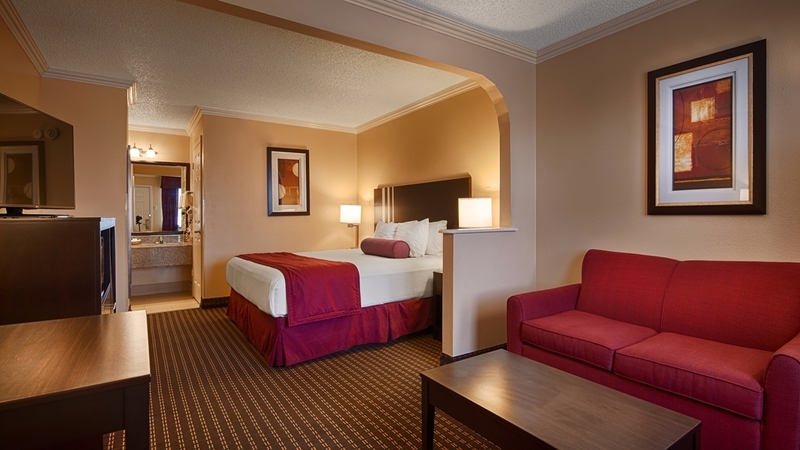 Service is always good, rooms are clean and large. They fixed my only complaint. Before not a good wifi connection, this time, wifi worked great. Important because very poor cell service in the whole area, so having good wifi was very important. I stopped in Brady to find a hotel room after a long drive. I was clearly exhausted and the Man at the front desk was very helpful in finding a room for me at a good rate so that I could get some much needed rest. I was impressed by the room. It was clean and the beds were comfortable. Microwave and refrigerator both worked great. Wireless high speed internet worked without a hitch. I was able to go to sleep early- by 8pm without the headache of loud people in the parking lot or noisy "neighors"- and the motel was almost full! This is the safest I have felt in a motel in a while, I am happy to say. The next morning I got up and ate breakfast and hit the road again. Loved staying at this motel. The room was beautifully decorated. Bed comfortable, the room was very clean. I has a little trouble getting the remote to turn on the T.V. set but once that was done, the tv was great, it was easy to add captions. The breakfast was very good. The eggs were a little dry but adding some jelly fixed that. Enjoyed the Texas shaped waffle. The staf was courteous and helpful. "Don't expect to sleep much"
Booked in advance and told them it would be a very late arrival, asked for a late check out time, which they said of course...which night clerk was super!! She was more than accommodating! BUT....we had a do not disturb sign hanging on door and at 8 o'clock the house keeping was knocking on the door, I answered telling them again we had late checkout and they said "I know, just wanted to make sure you were still here" I told then we would be leaving at noon (our late checkout time) at 9 o'clock they knocked again...and then again at 10:30 and again at 11:30!!!!! Dragging their cart back and forth and then parking it at our door making us feel very uncomfortable and rushed!!! And then as we were leaving they were gathered at outside the door waiting on us!! As I checked out I clearly saw the room sheet that had our room highlighted showing we had a late checkout of 12! And on top of that, I guess they ASSUMED I didn't speak Spanish and made VERY rude comments about us as we were packing the car!!!! Definetly will not be going back there again!!! Should have stayed at the Holiday Inn!!! Couldn't of been happier with our stay. Before arriving we received a courtesy call from the hotel to verify our arrival. Front desk agent working Friday around 8 pm (sorry don't recall his name) was very nice and did his best to accommodate my requests. Would definitely recommend this hotel. "Older hotel but with updates"
I have not stayed at this hotel in several years so I decided to give it a try. Still is the same older Best Western with exterior entrances. However they have updated the rooms with new carpet and tile. The bathroom has a step in shower but no tub. Everything worked well and was a quiet stay. I wasn't too impressed with the breakfast but there is a McDonalds just down the street as an alternative. "Jacuzzi bath tub for 2 worth the upgrade!" Spotted in Brady and picked Best Western for the deal of $90 per night. My husband surprised me by upgrading to the room with a huge Jacuzzi bath tub big enough for two. Best decision during this trip! Room was very clean and the bed and pillows were incredibly comfortable! Definitely recommend staying here. 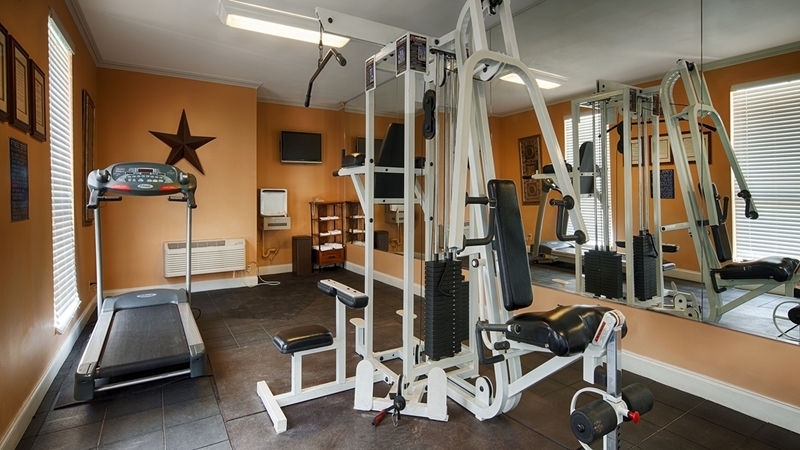 The Best Western in Brady is a solid hotel in a town that really has only two options. That being said I feel the hotel is overpriced based on the accommodations. 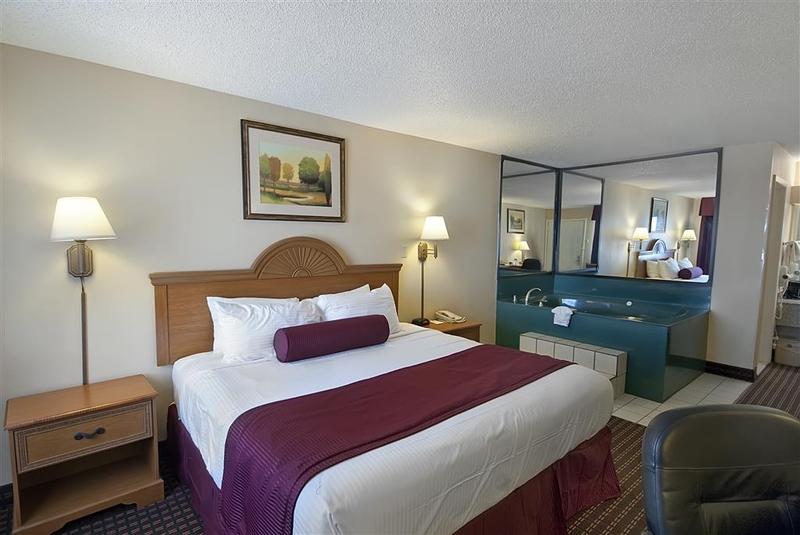 Overall it is a solid option, typical Best Western. Bed was the worst part and really needs to be replaced. It is old. Room was clean, good restroom/shower and perfect for a hunting weekend. We are pretty low maintenance. Approx. $205 total for two nights is overpriced for the value. 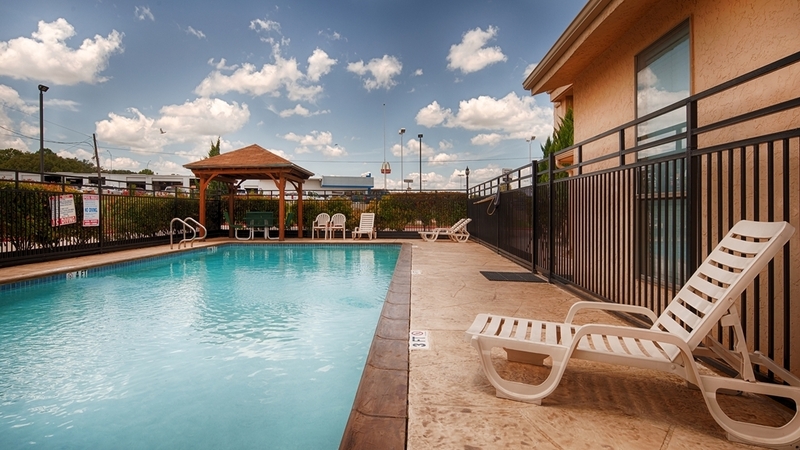 About $150-160 total for two nights would place this as a good value IMO. This motel was clean and well maintained. The staff was friendly, courteous and very helpful. Room and bed was clean and comfortable. Breakfast was adequate and suitable for us. We would definitely stay at this Best Western again. "Nice but lots of room to improve"
This property has come a long way with improvements. The "big picture looks fantastic" Don't look at the little stuff. Touch on walls aren't followed through. No trays to go back to room with breakfast had to make 3 trips. Lobby always smells freshly bleached rather than smell pleasant. "Credit Card number stollen at this location"
I stayed at the Best Western in Brady Texas for a family wedding the weekend of 10/2-10/4/15. The room was clean and I had no issues while there except for the large number of crickets in my room and on the property, which I believe to be an area issue and not the fault of the hotel. HOWEVER, the credit card numbers fro myself, my brother, and my sister were all stolen and used on 10/9/15. The only place where we all used our cards was this Best Western so we know a staff member onsite there stole all the credit card numbers. I have let coorporate best western know, but believe anyone should be careful when staying at this location until they can find the perpetrator. I'd stayed at another Best Western the night before, so I had high expectations. I was a bit disappointed in this one by comparison. The pillows weren't as nice and the only room they had was on the second floor, up an outside stairway, no elevator. Generally good service, though. "Room requested was a King Non-smoking, but was given a KS room that had been smoked in." We made our reservation approx. one month in advance, requesting a King Non Smoking room. Upon check in, we were given a room that had been smoked in and the smell was very strong. As the hotel was overbooked for a wedding, there were no other rooms available. The front desk clerk went out of his way to try to help us, even going to Walmart to get some rug carpet cleaner and also some spray to try to kill the smell. Apparently, the prior guests had smoked in this Non-Smoking room, so it was not the hotels fault. The manager gave us a nice discount the next morning. Our bed was very comfortable and our pillows were good. Our breakfast was good. Our Wifi was also very good..
My family and I stayed in the best western this past weekend. The rooms were nice and clean. The workers were all nice. There was construction going on while I was there, but I barely noticed. The breakfast was ok, not great, but it is free. My only complaint was there are sooooo many crickets, but I think that may have more to do with Brady than the hotel. "Got a good night's rest." Nice and clean, comfortable bed. Enjoyed our stay. Breakfast left a little to be desired but the staff was really friendly and anxious to please. We had requested a ground floor room and they were able to rearrange and accommodate us. Thanks! Was here for two nights and I could not have been happier with my choice. Room was clean, A/C worked great., plenty of hot water and clean towels. All room amenities were restocked with the same amount used, Staff was very courteous and helpful. 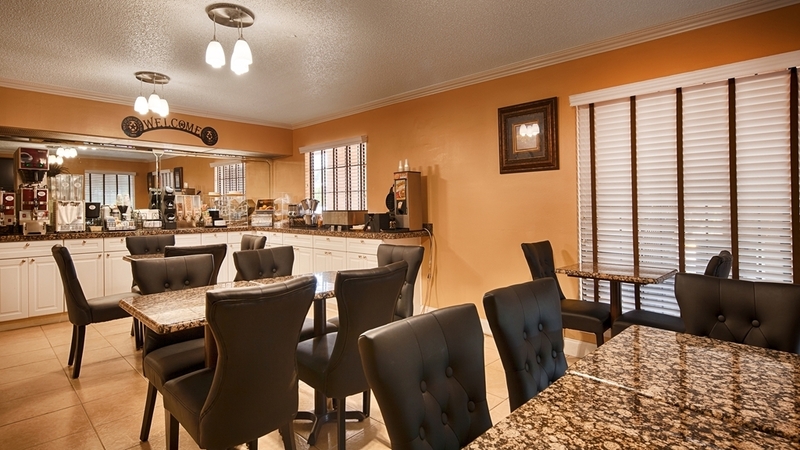 It is easy to access and convenient to area restaurants. This is on my weekly route back home and I go out of my way to stay at this Motel. The service is great and they meet all my needs for my stay. This location has a variety of places to dine and at a convenient place to shop for any needs for my trip. I recommend this as a good stay on your next trip. We have stayed at the motel in the past if in Brady Tx. We have been pleased with the quality of the room and the price. The breakfast buffet is very good with many choices including hot foods such as pigs in a blanket, scrambled eggs, sausage, and waffles. The room we have stayed in has a comfortable king size bed and a sitting area with a couch and flat screen tv. We stayed at the Best Western in Brady Texas. The staff was very nice and helpful. 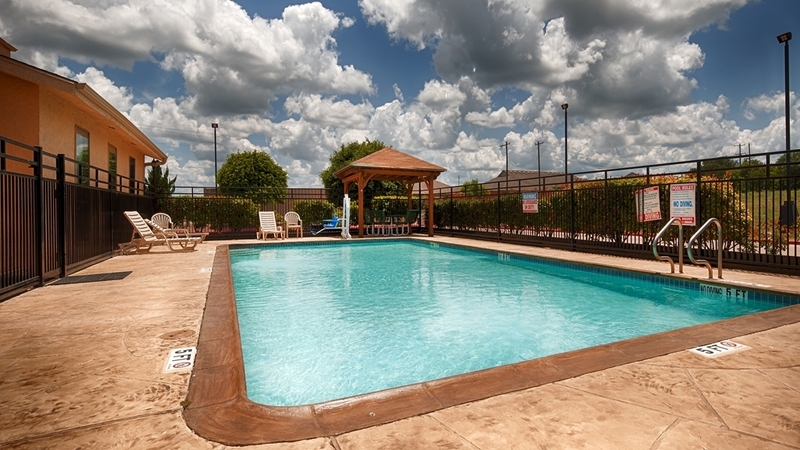 The rooms were clean, the beds comfy and the pool was very clean and relaxing. Would recommend this hotel. The only thing I have and it is not bad (and this is in alot of hotels) is the curtains are too long and they blow when the air conditioner is on. Seems like if they make the curtains shorter or put blinds up on the window that would help. But like I said everything was great with the hotel, Thank you.